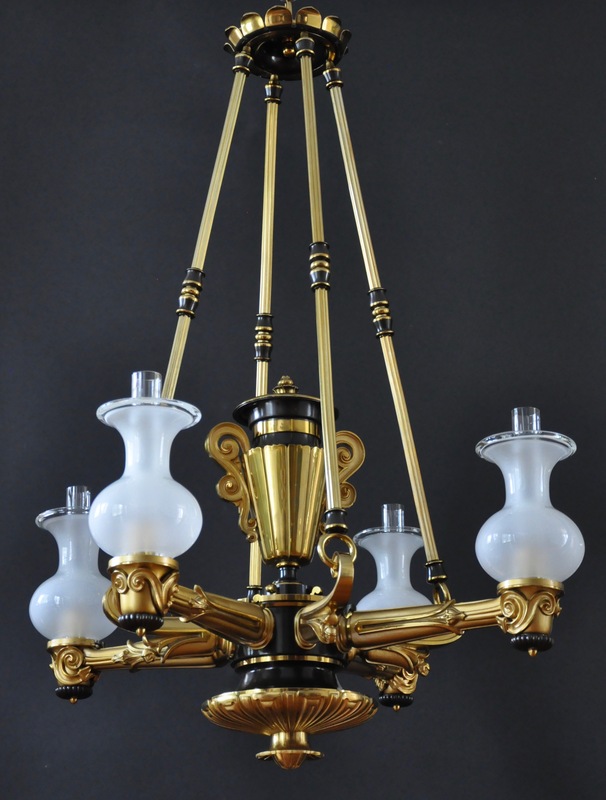 This handsome Regency argand chandelier must have appeared quite avant-garde when it was originally created. It suggests design directions that would be popular almost a century later. 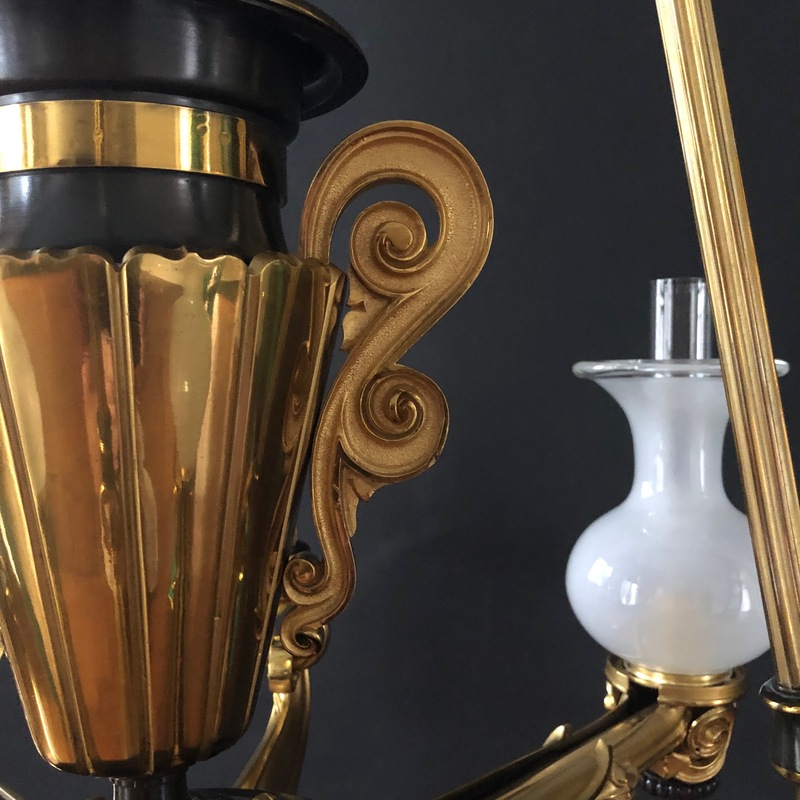 The cast lobed canopy is attached to a Gothic shaped hook. 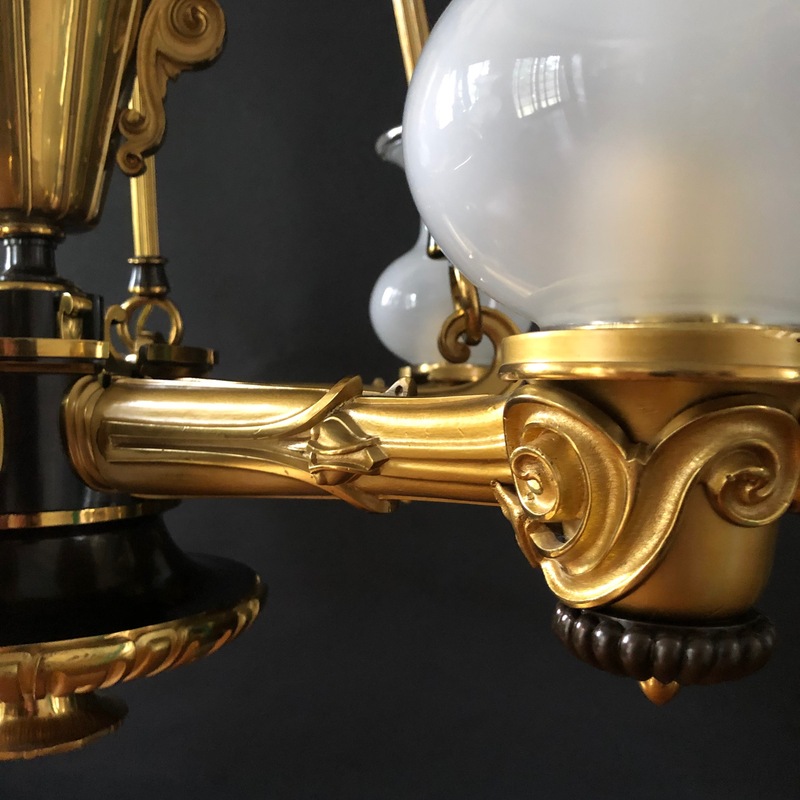 Reeded rods with turned connectors support the body of the chandelier replacing the conventional link and ring chain arrangement. A large font is fitted with scrolled handles. The arms emerge from the bowl to appear growing as a plant.